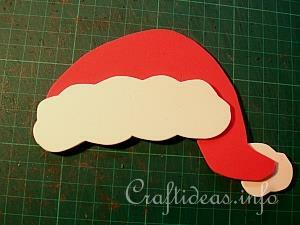 Fun foam is a great material for kids to work with because it is soft and easy to cut. 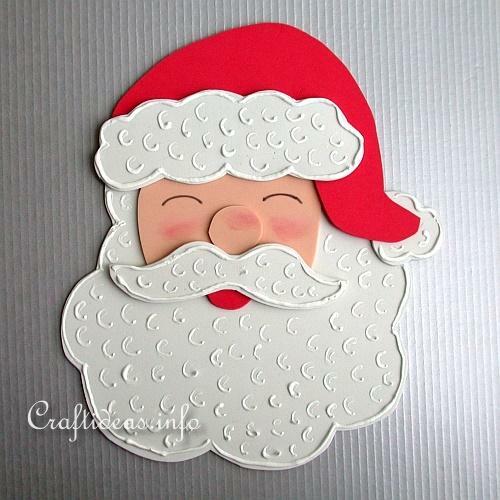 This jolly ol’ elf is an example of a Christmas decoration that kids can make to decorate the door or window during the holidays. 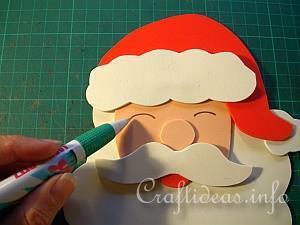 The dimensional paint details give the Santa an extra bit of texture but can also be omitted if desired. 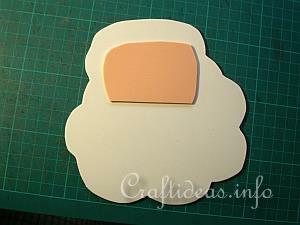 If you do not have fun foam, this project can also be made with paper. 1. 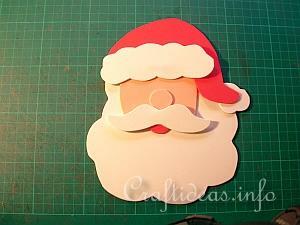 Print out the Santa template to the maximal size of your printer paper and create permanent templates out of cardboard. 2. 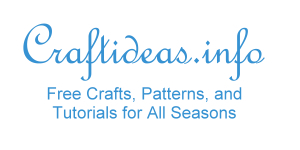 The images below show you how to assemble the decoration. 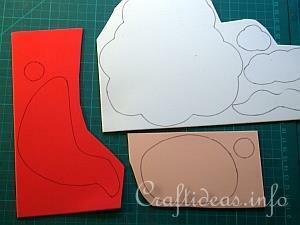 Once your templates are finished, trace the pieces on the appropriate color of fun foam and cut out. 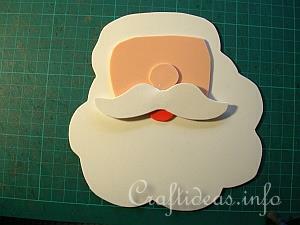 Adhere the face onto the beard. 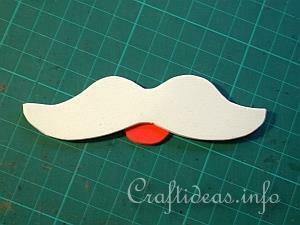 Then the mustache to the mouth. Now adhere the mouth and mustache to the face. Add the nose. Adhere the cuff and the pompom to the hat. Now stick the finished cap to the face. 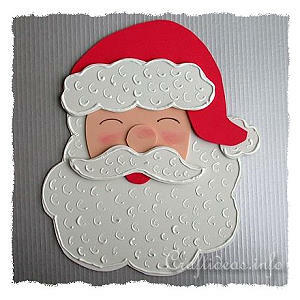 Draw smiling eyes on Santa.